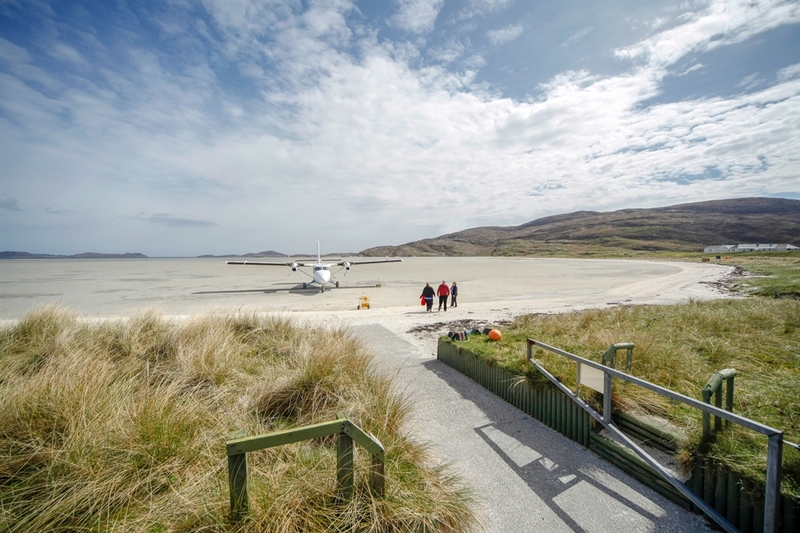 Traigh Mhor beach on the Isle of Barra is the only beach runway in the world to handle scheduled airline services. 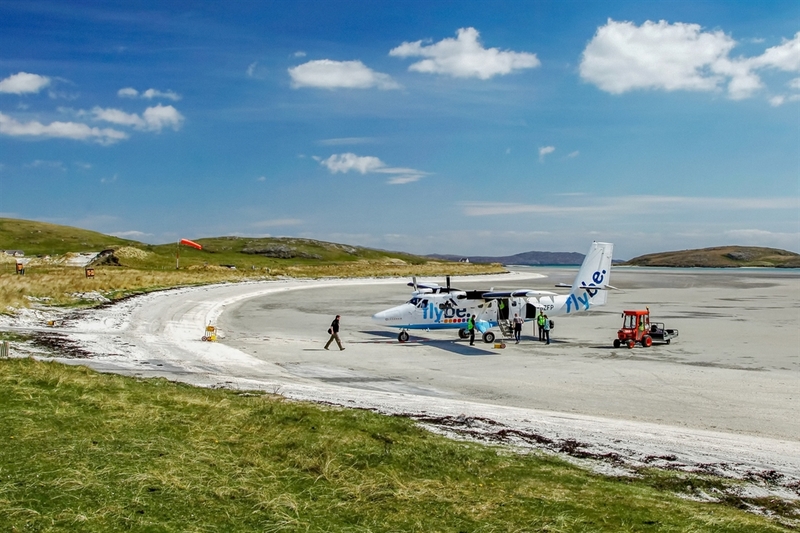 The home of Barra Airport, Traigh Mhor beach was first licensed as a runway in 1936 and has been voted as the world’s most spectacular landing. This large white beach stretches between the villages of Ardmhor and Eoligarry on the north tip of Barra in the Outer Hebrides, and when it isn’t acting as a runway Thrigh Mhor is a wonderful place to take a stroll and admire coastal scenery. No public access to the beach is permitted when the airport sock is flying. 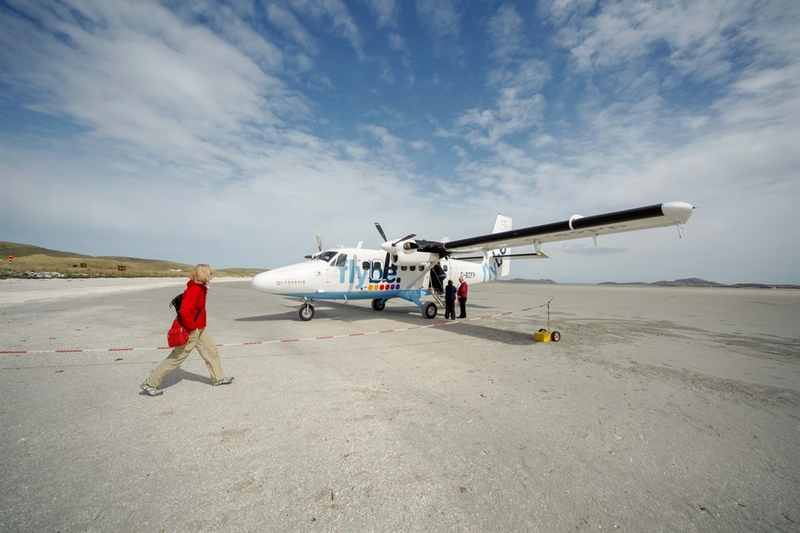 For more information, visit the Barra Airport website.